As we turn the calendar to a new month, I want to call your attention to National American Indian Heritage Month, which is commemorated nationwide during November, culminating with Native American Heritage Day on November 23. The commemoration—which is officially proclaimed at the national and state levels—recognizes the enormous contributions of America’s first peoples to the fabric of our nation. The proclamations also reaffirm the commitment to respecting each tribe’s sovereignty and cultural identity, and pledge to maintain meaningful partnerships with tribal nations through maintaining and strengthening government-to-government relations. 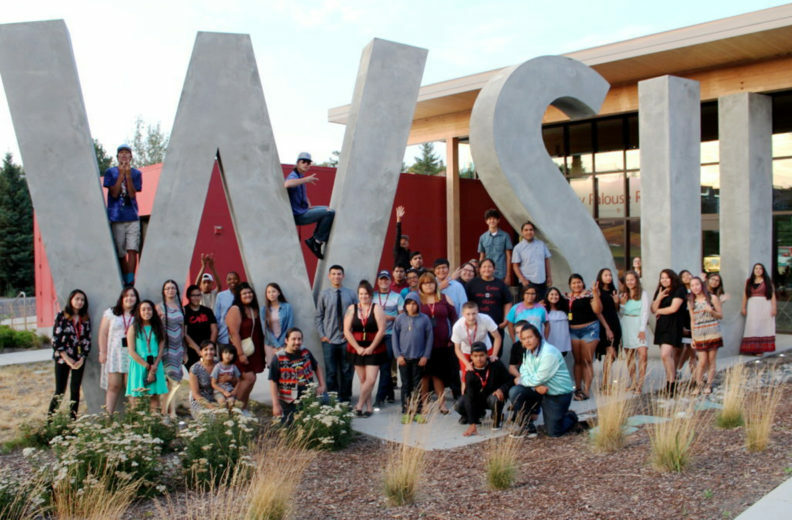 Here at the University, we work closely with tribes from throughout the region to build and strengthen educational opportunities for Native Americans and increase the opportunities for working together to address critical issues facing all Americans. This year marks the 21st anniversary of a Memorandum of Understanding WSU signed with regional tribes in 1997 to recognize tribal governments and commit to working with their governing bodies, as represented through their delegates who serve on the WSU Native American Advisory Board to the President. Earlier this fall, I had the pleasure of speaking to representatives of more than 50 Northwest tribal governments at the fall conference of the Affiliated Tribes of Northwest Indians. I reiterated the University’s commitment to supporting the higher education interests of the tribes and increasing WSU’s programming that supports our 500‑plus students who identify as Native American. I also shared with the conference attendees that I would declare the second Monday in October as Indigenous Peoples’ Day at WSU, which we marked October 8 this year by celebrating the thriving culture and value that indigenous peoples add to our University. Please join me this month in recognizing the contributions of Native peoples, and especially our WSU Native faculty, staff, and students. We welcome opportunities for dialogue and partnerships that facilitate ever greater inclusion of Native peoples and world views in our pursuit of understanding, transformational ideas, and a better society for all. Interested in reading about the lives of some of WSU’s Native American alumni? Meet Charles Hudson ’84, Amy Eveskcige ’13 (EDD), and Brian Gunn ’95.